↑ Introduction to the Human Body, Fifth Edition. John Wiley & Sons, Inc.: New York, 2001. 560. ↑ Bentley, Gillian R. (2001). 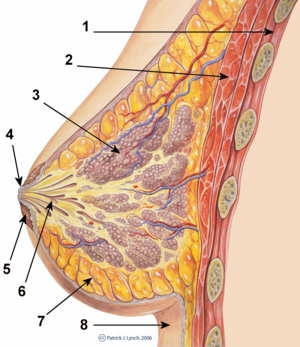 "The Evolution of the Human Breast". American Journal of Physical Anthropology. 32 (38): 30. doi:10.1002/ajpa.1033.